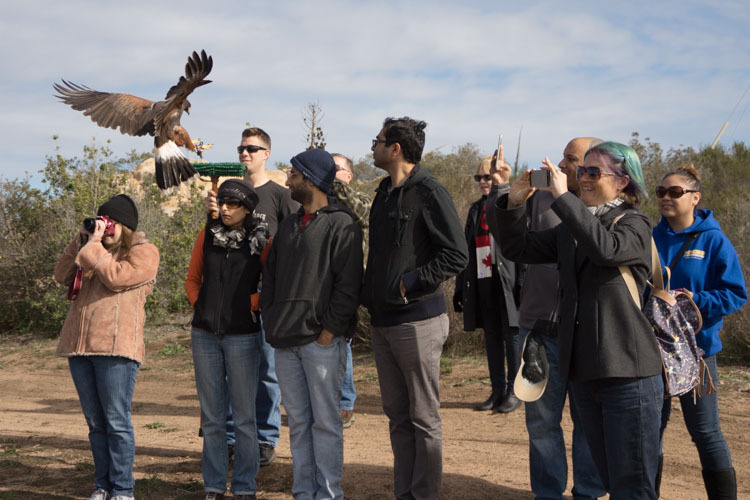 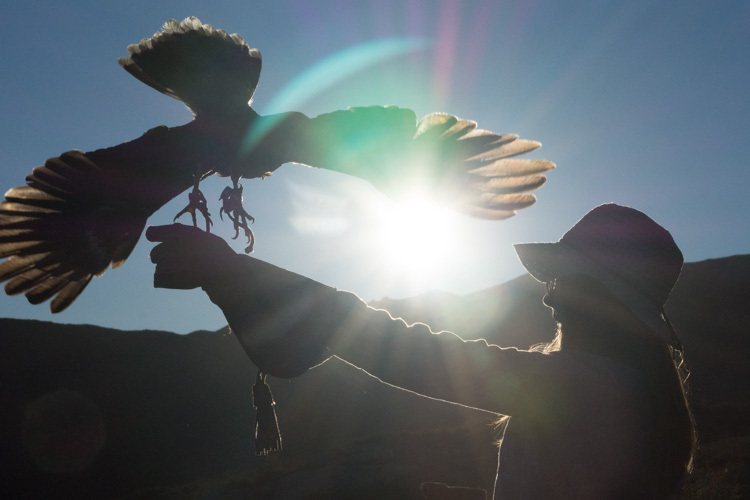 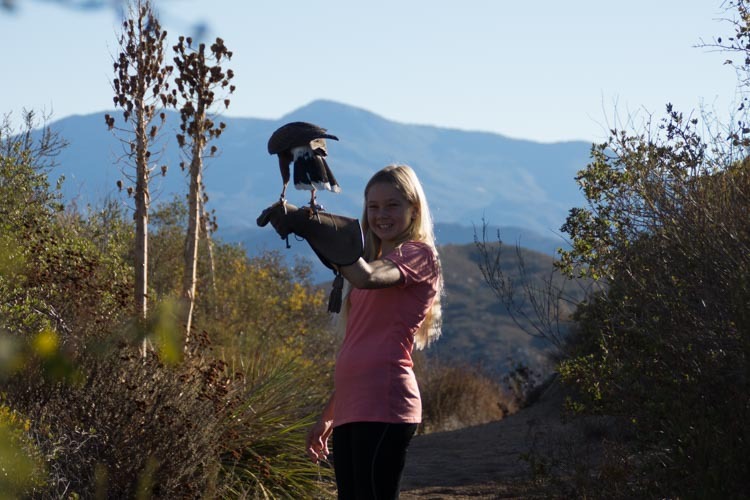 Come as a hands-on participant and learn about raptor biology, conservation and the art of falconry in the Basic Falconry Lesson, a variety of Hawk Walks for more glove time with the raptor, and a Private Raptor Experience for the ultimate in depth class. 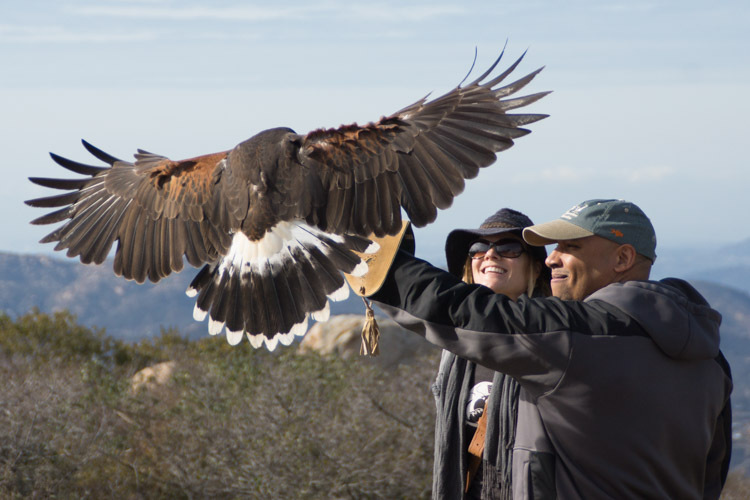 Enjoy this intimate animal encounter in picturesque settings of Southern California! 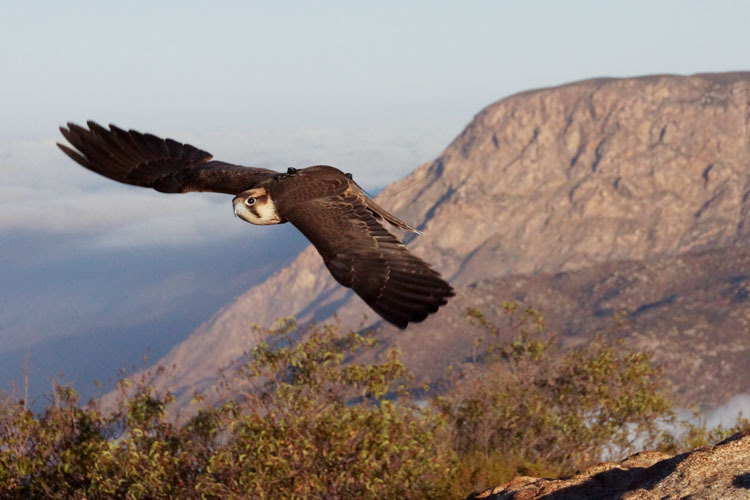 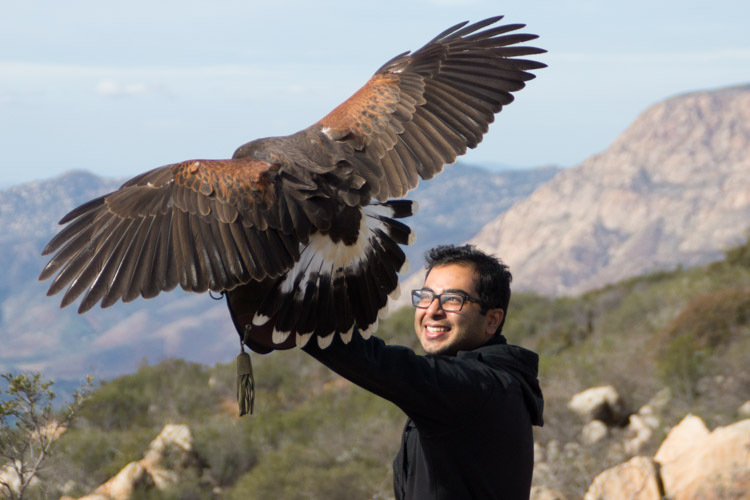 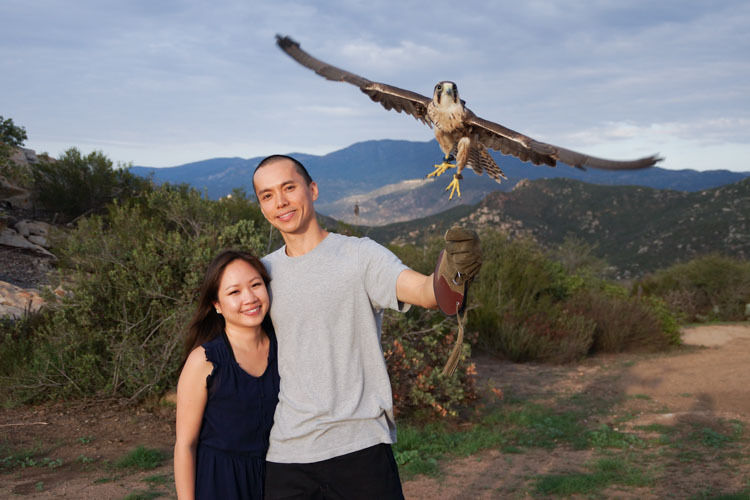 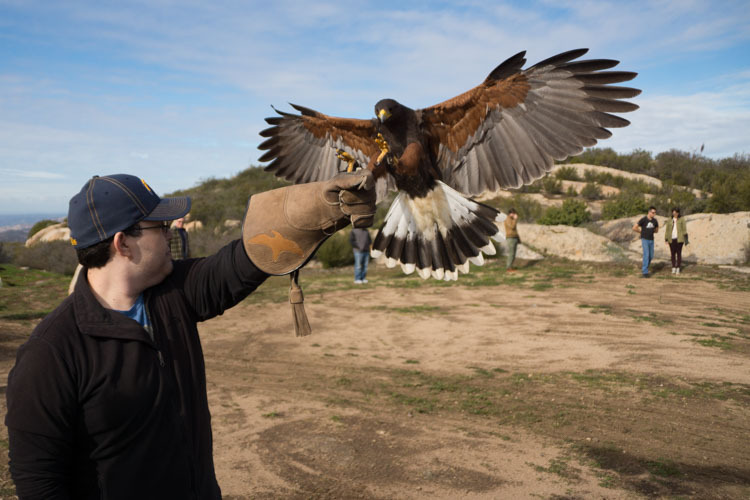 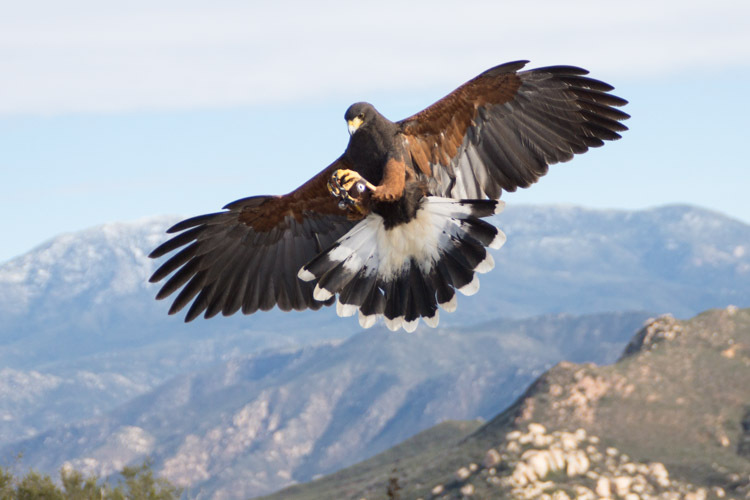 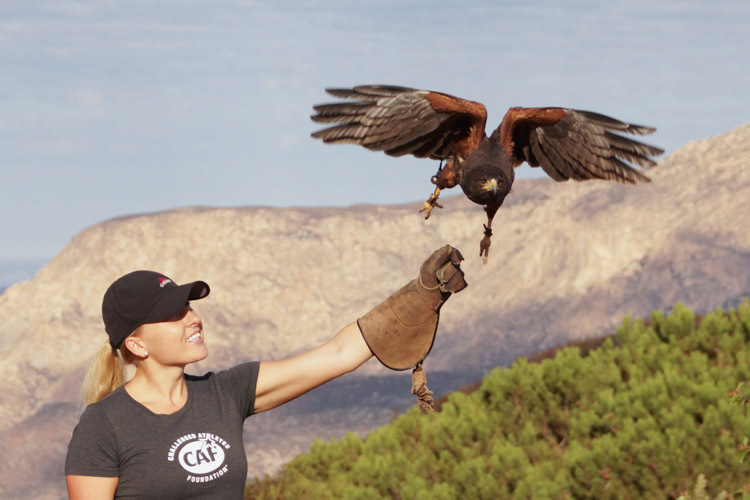 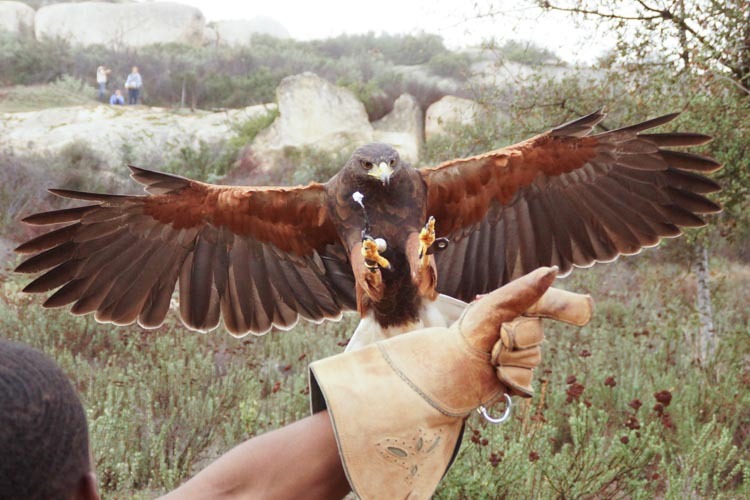 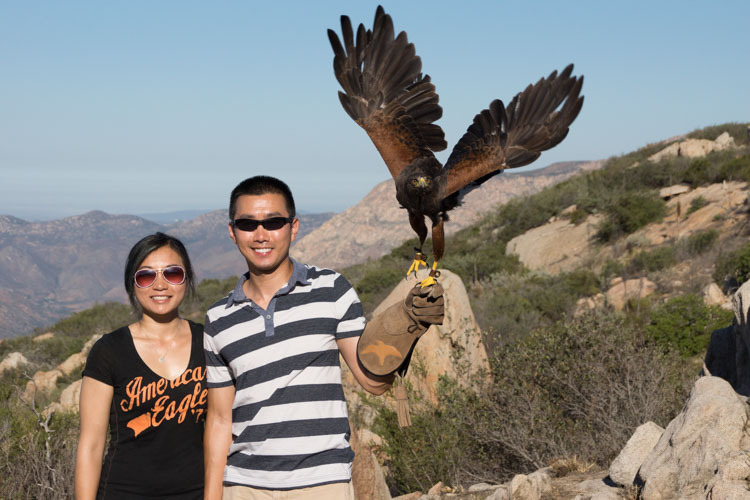 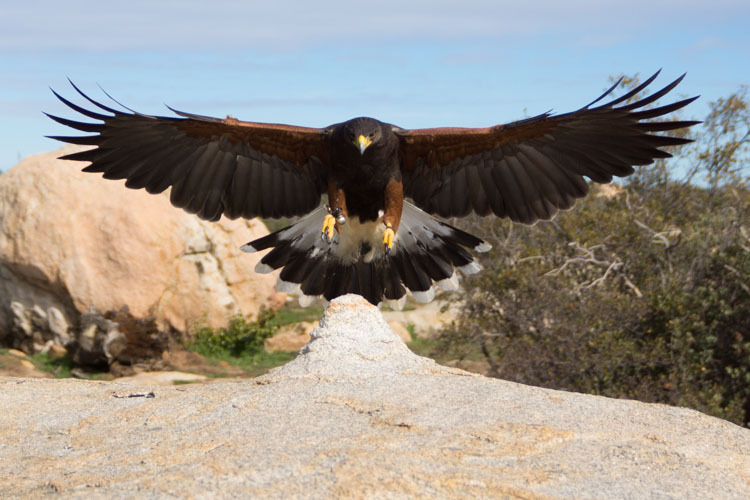 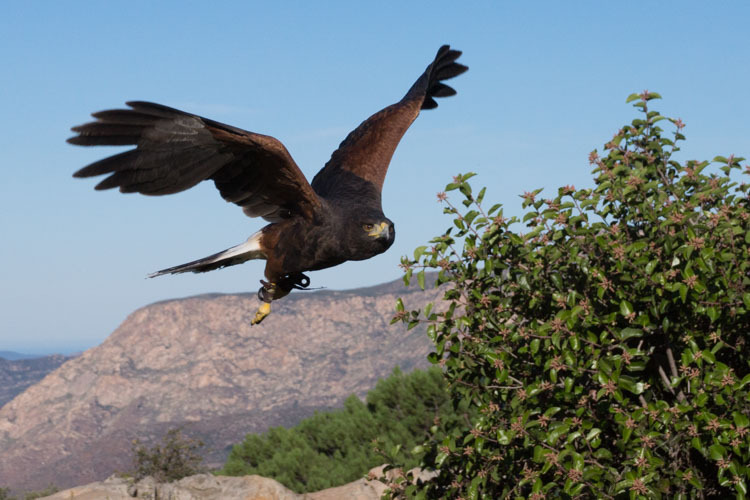 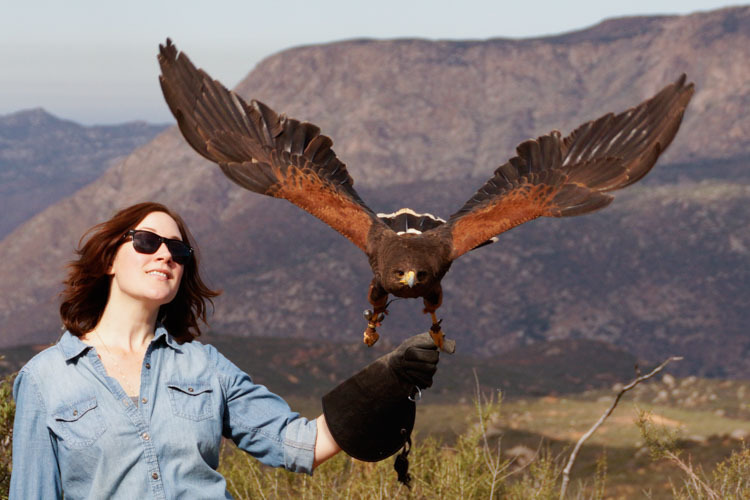 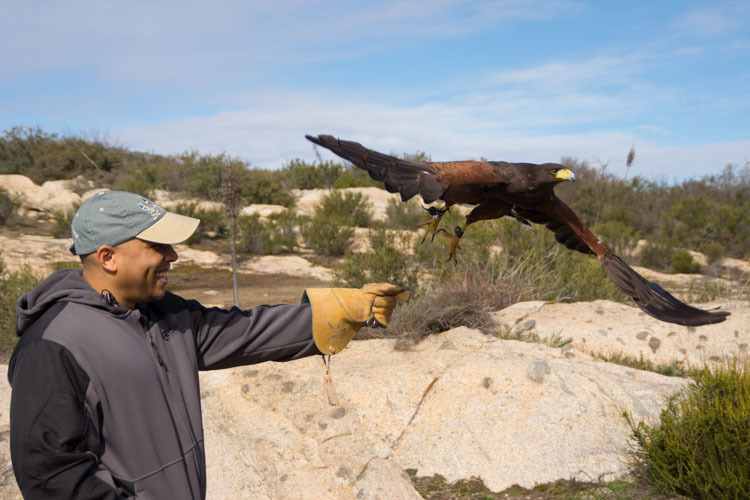 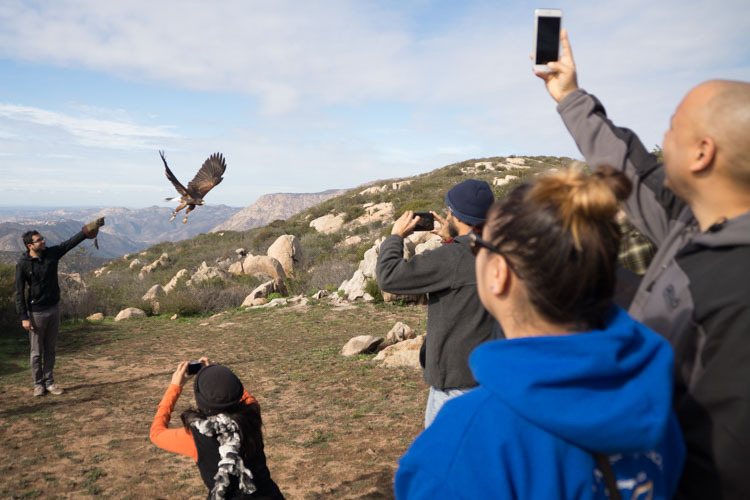 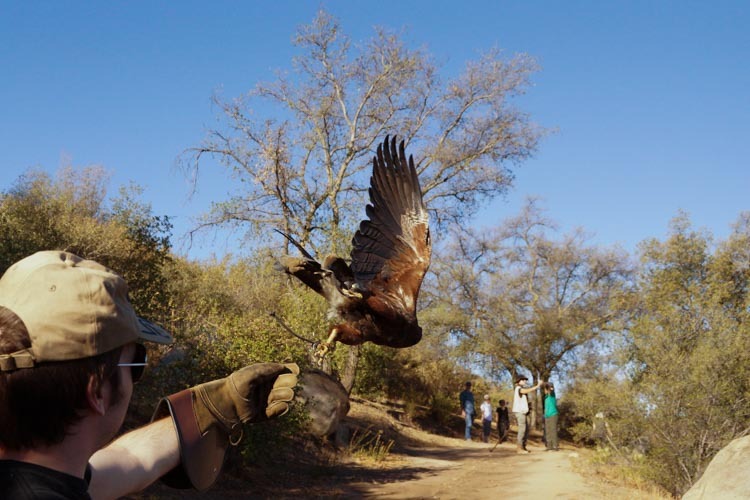 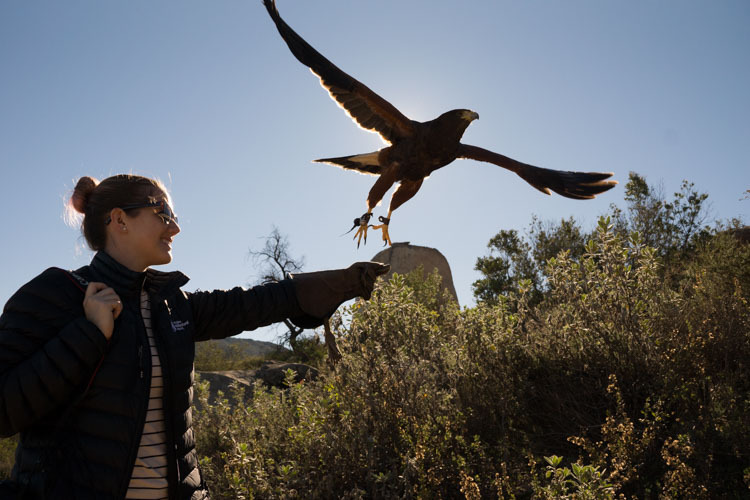 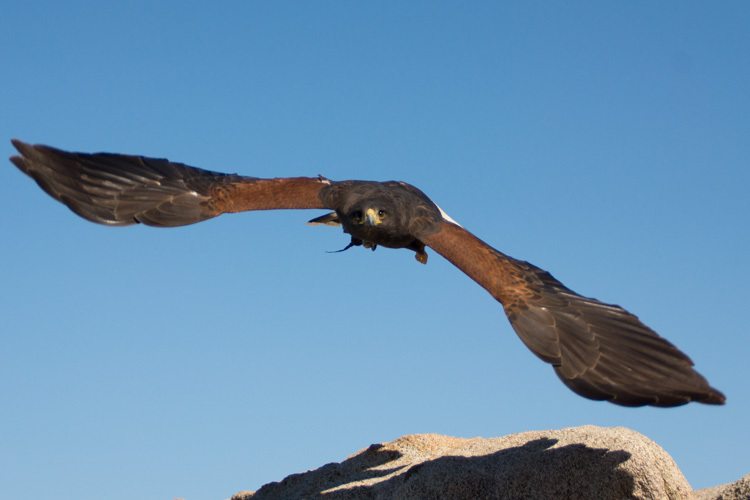 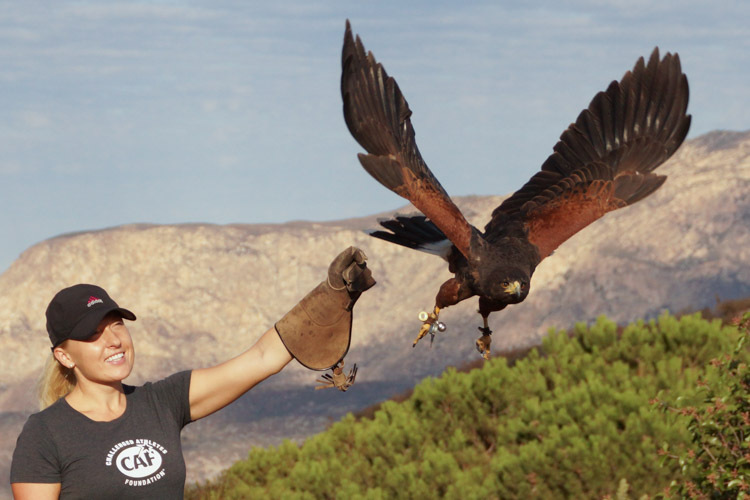 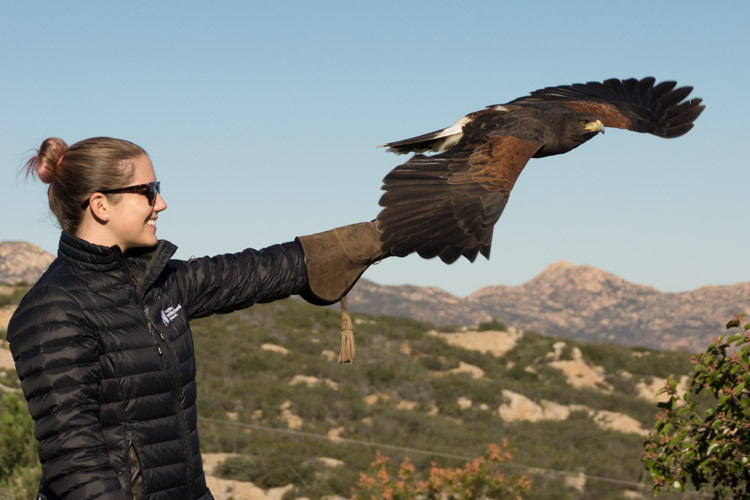 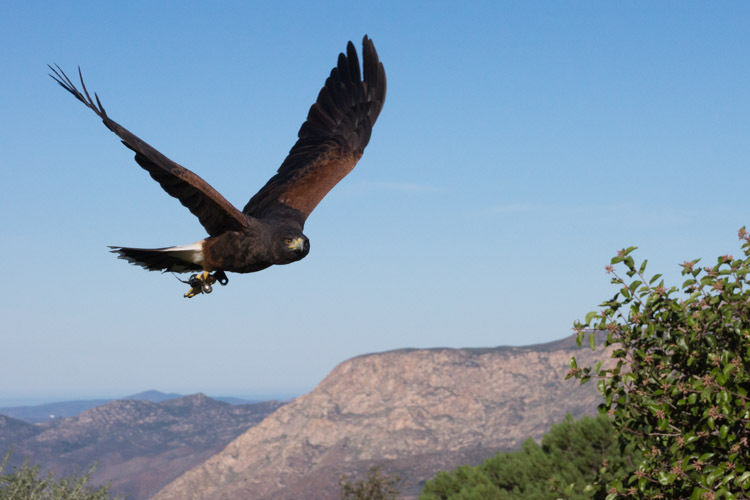 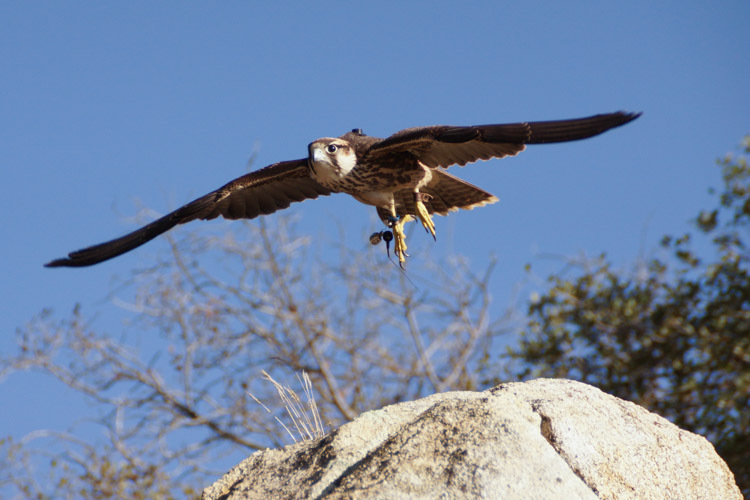 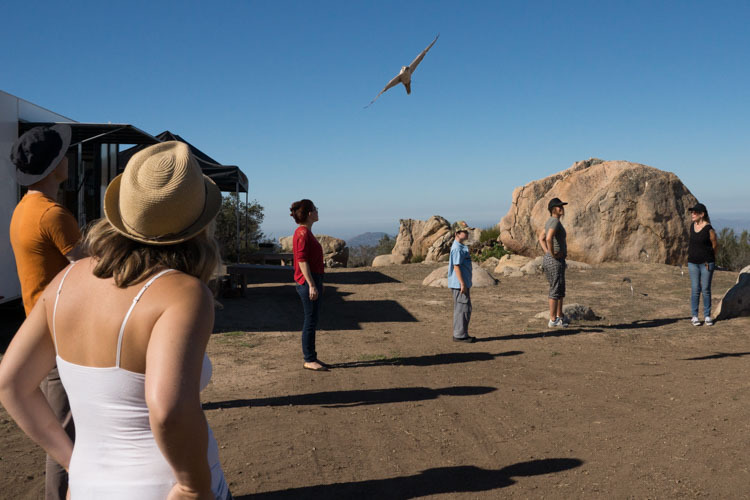 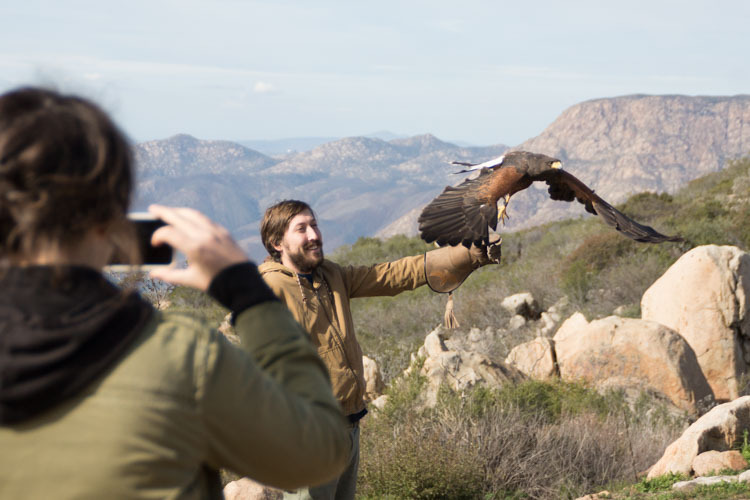 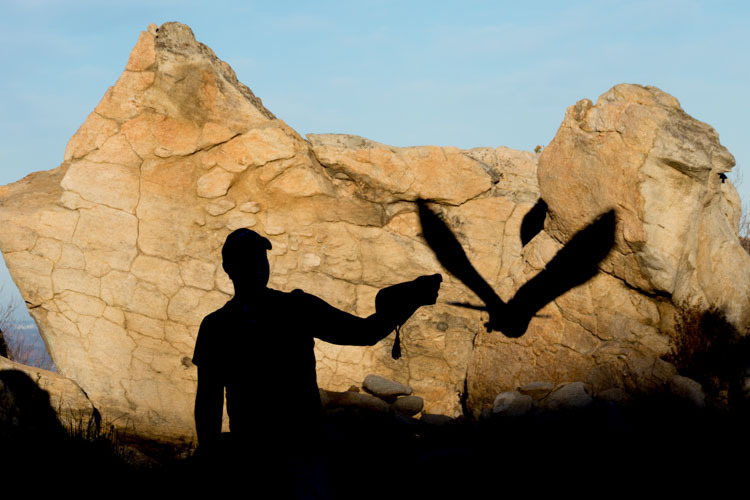 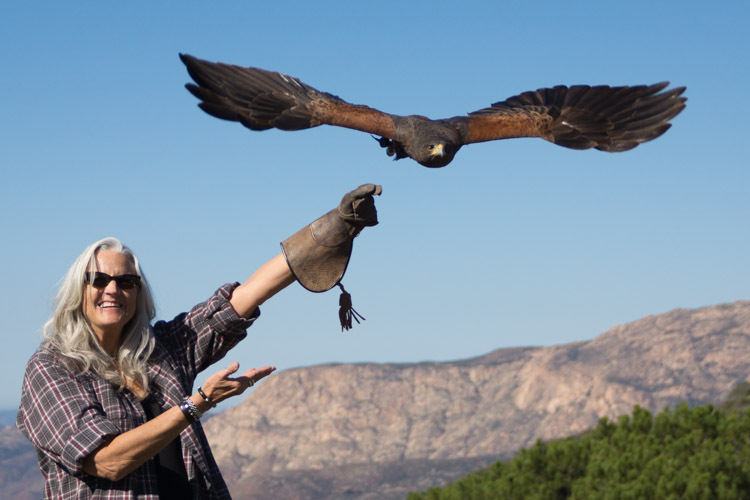 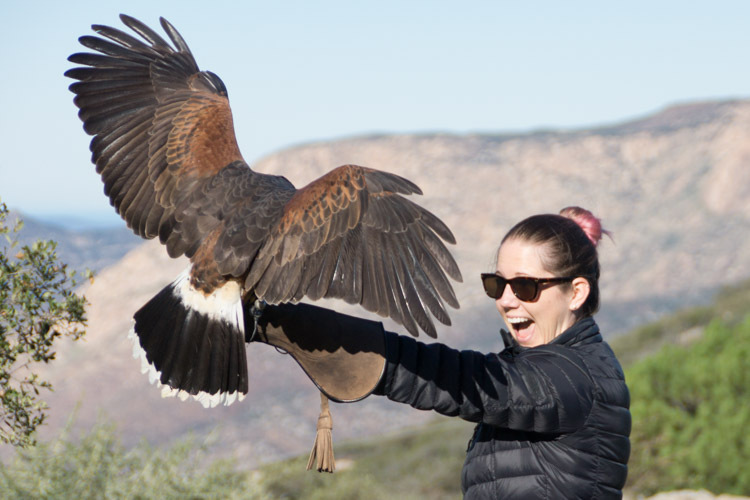 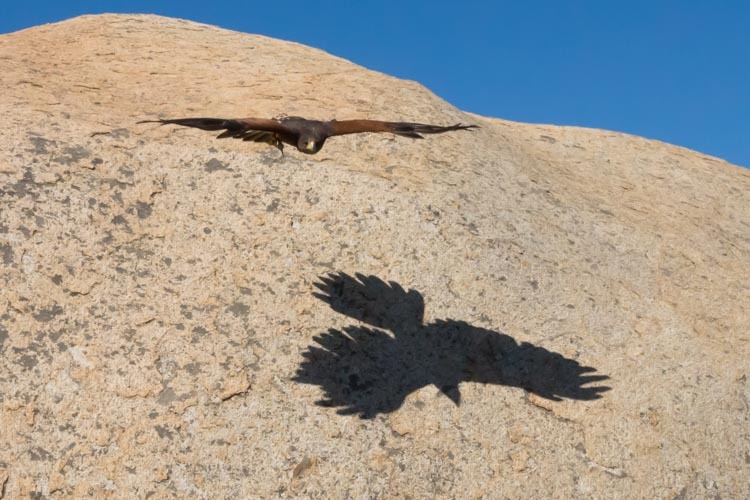 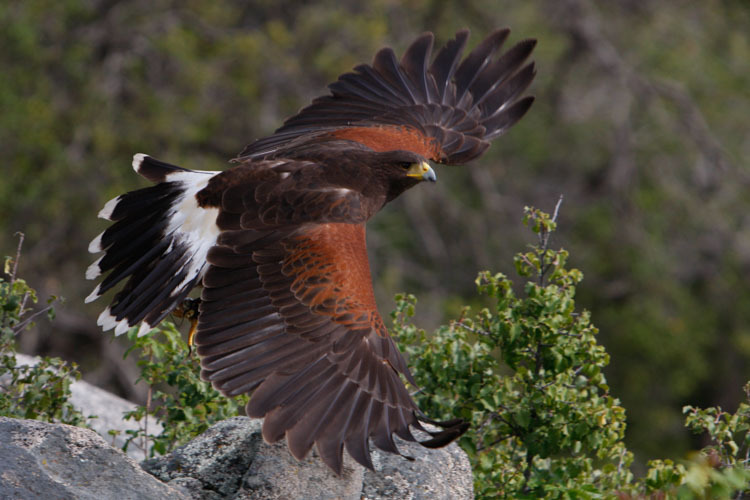 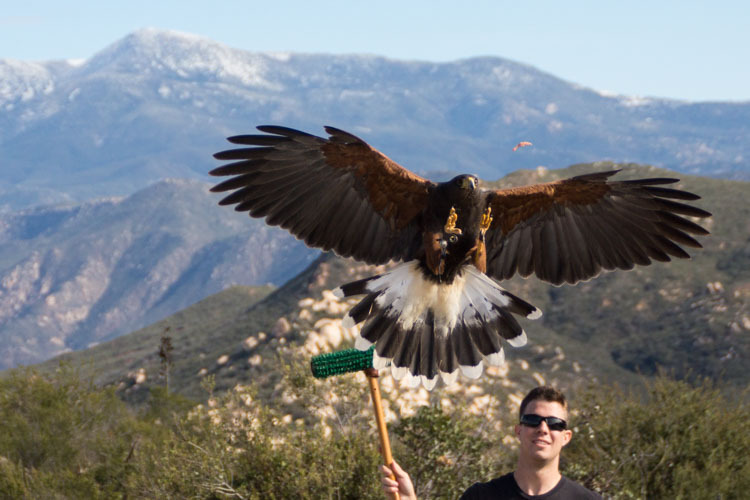 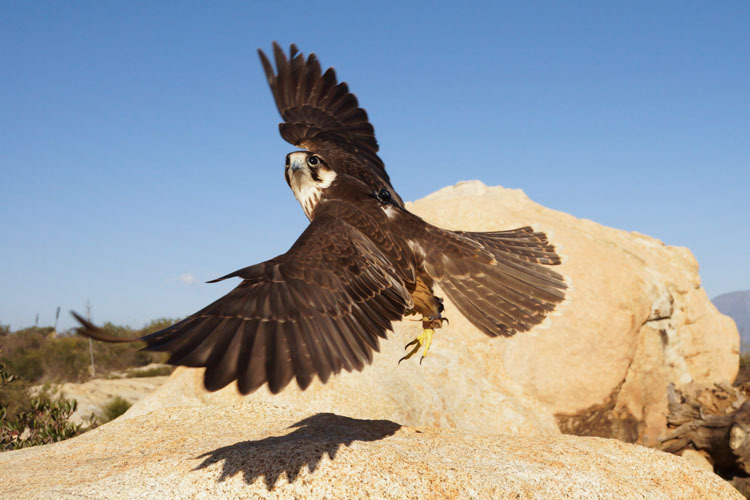 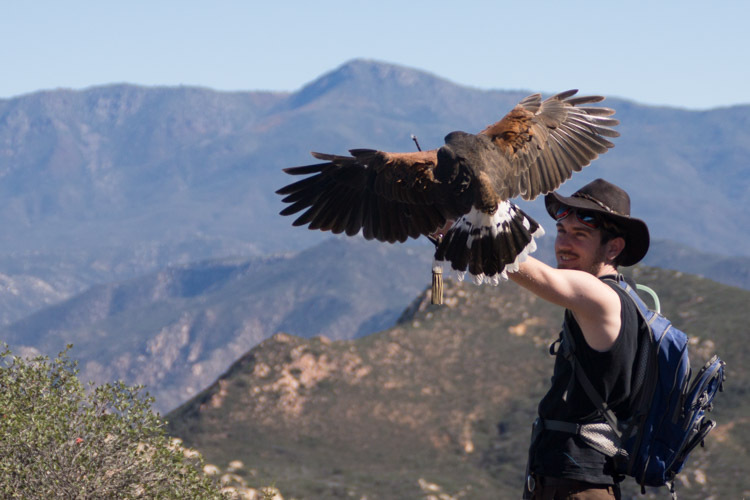 Our Hawk Walk takes you meandering on trails of the San Diego mountains while free flying a trained raptor to and from the glove. 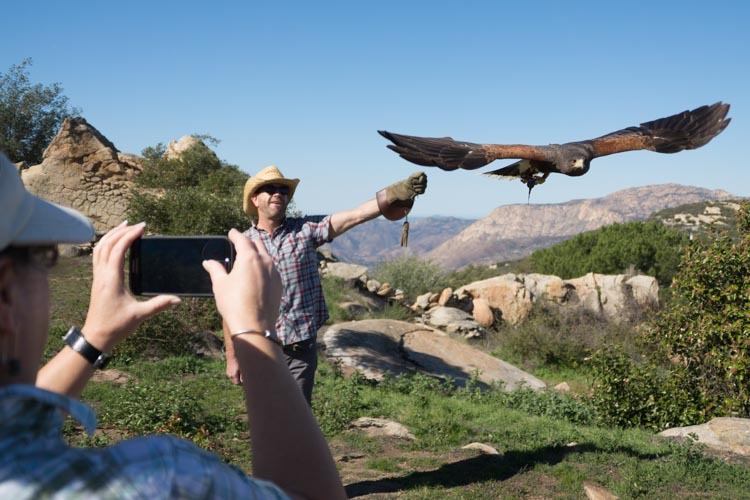 Experience the awe of a hawk dropping from high in the trees and flying hundreds of feet to land gracefully on your glove. 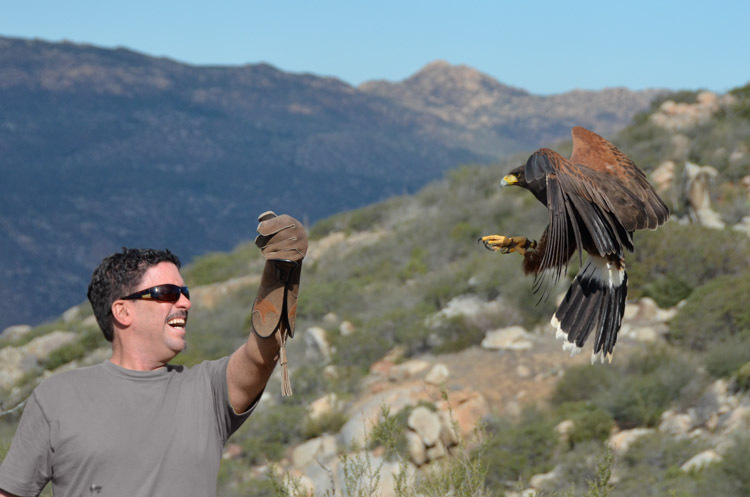 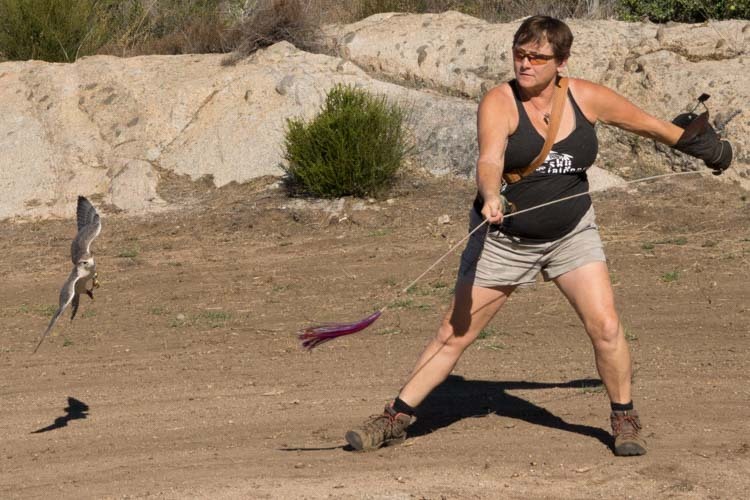 Hawk Walks offer the opportunity for a more intimate interaction as instructors guide you through field training techniques such as following on and casting the hawk from the glove. 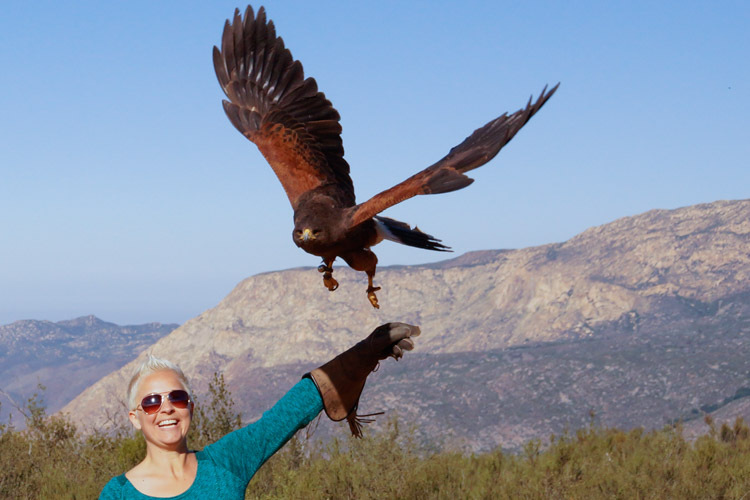 The pleasure of partnering with a trained hawk in her natural environment is an unforgettable experience! 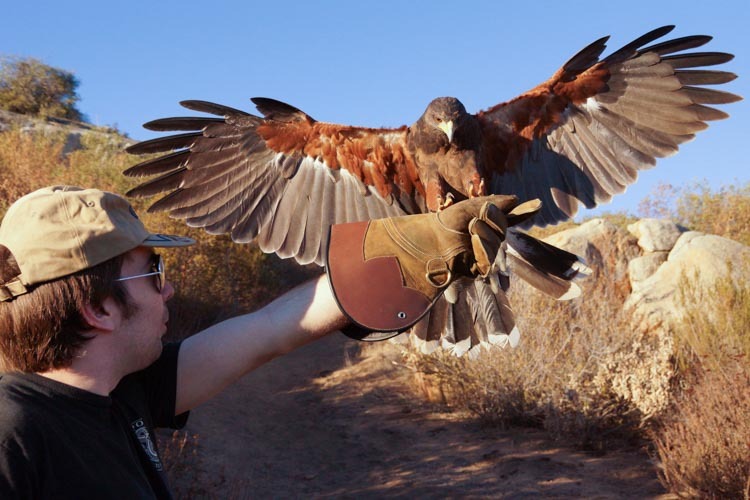 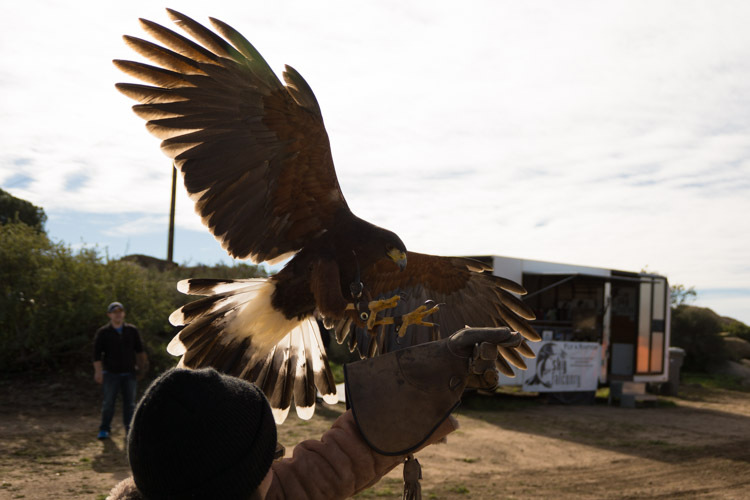 This class is offered at the Sky Falconry Ranch in Alpine September through June. 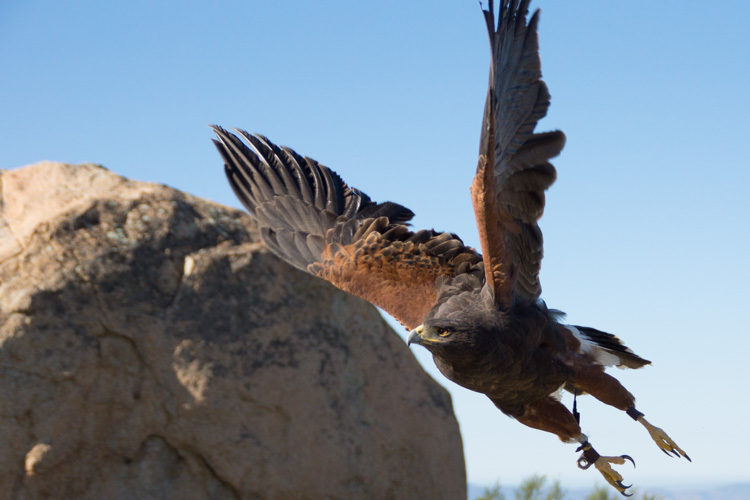 Note: Some elevation gain and loss, agility and fitness required. 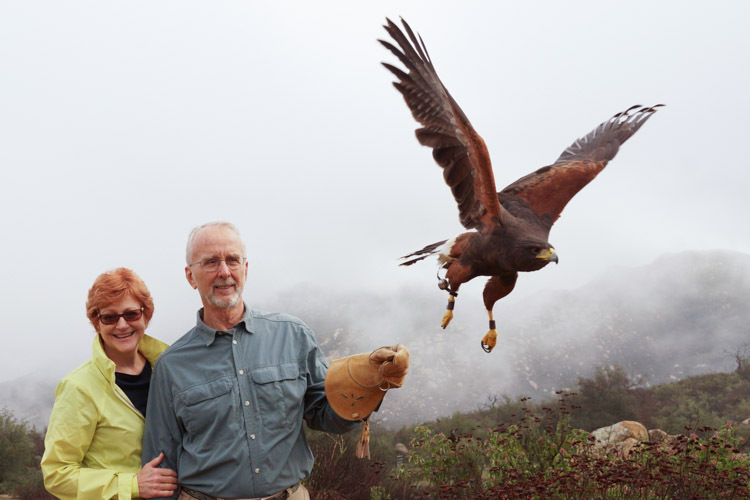 To make your Hawk Walk more intimate, book it as a Private Hawk Walk. 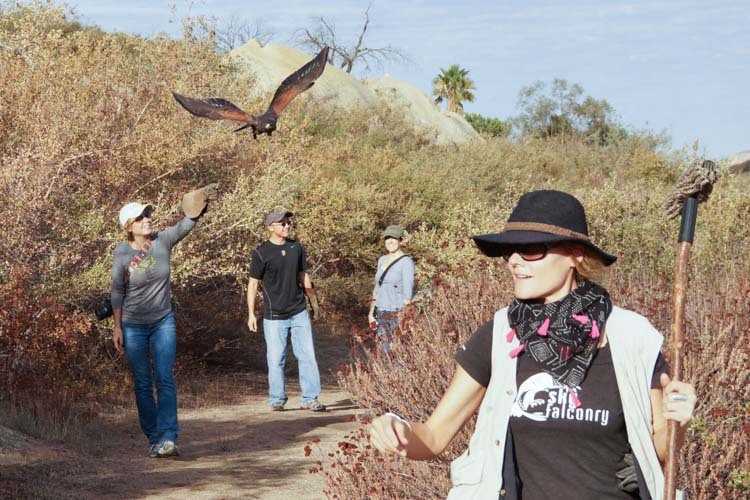 Our instructors will take you meandering on trails that will be yours alone. 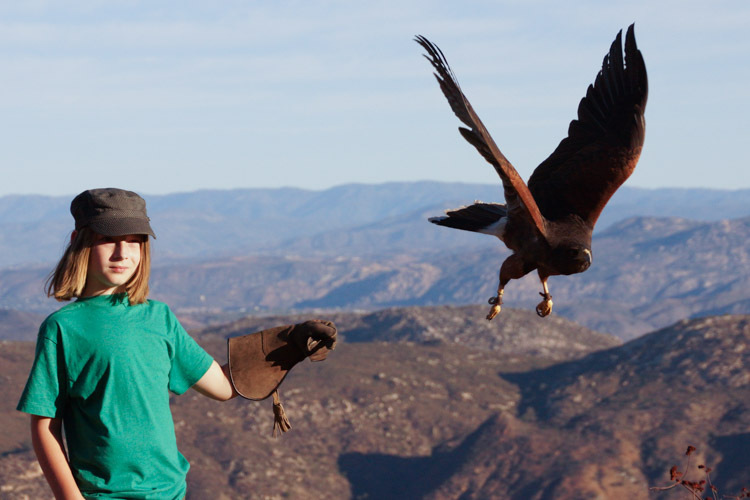 This experience offers longer flights and a lot more time with the hawk on your glove. 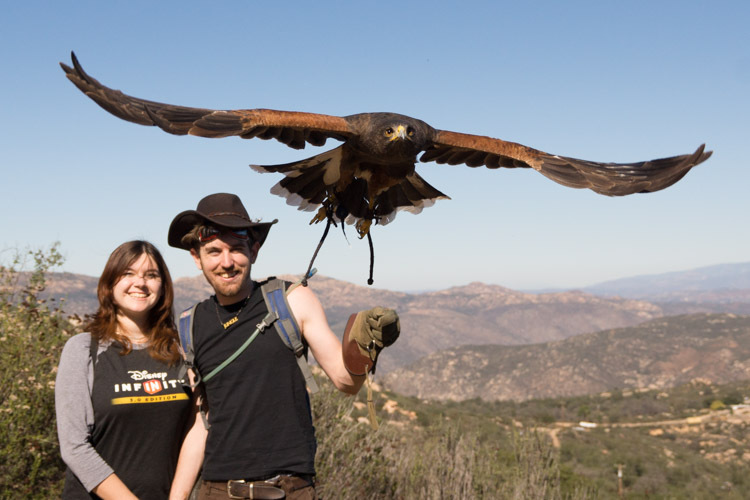 Book it now for the ultimate adventure! 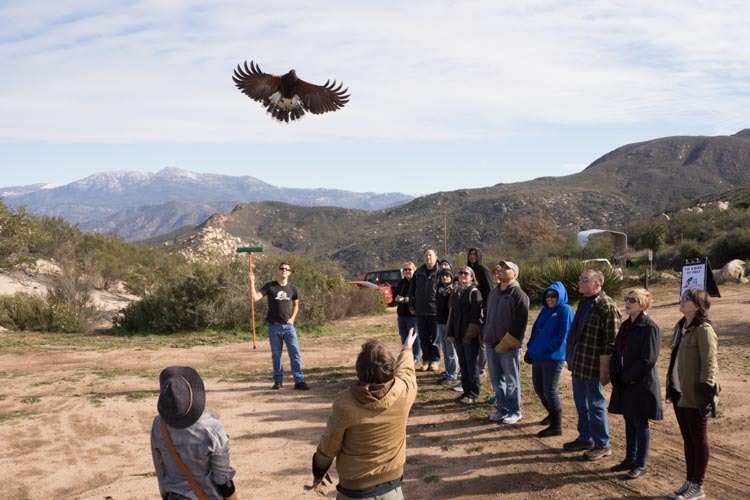 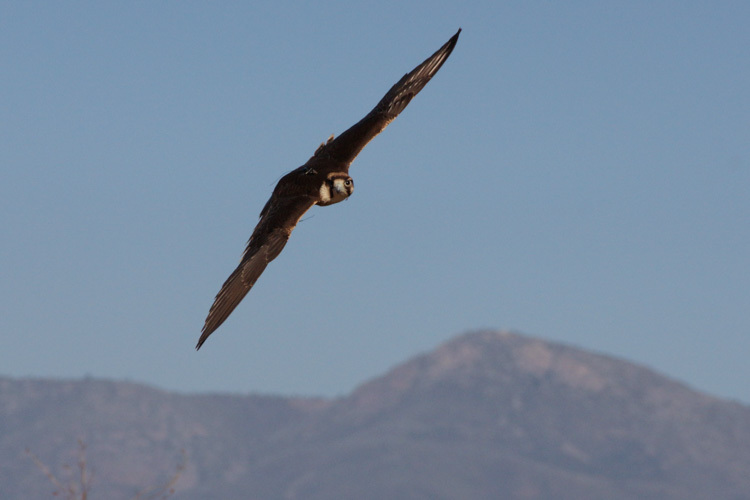 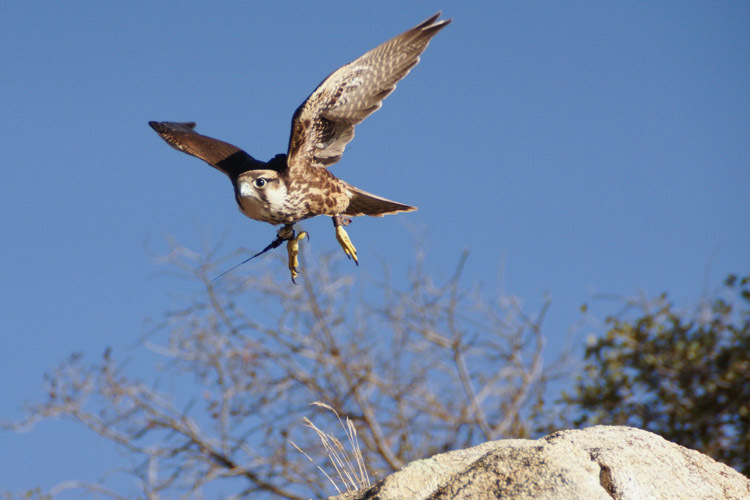 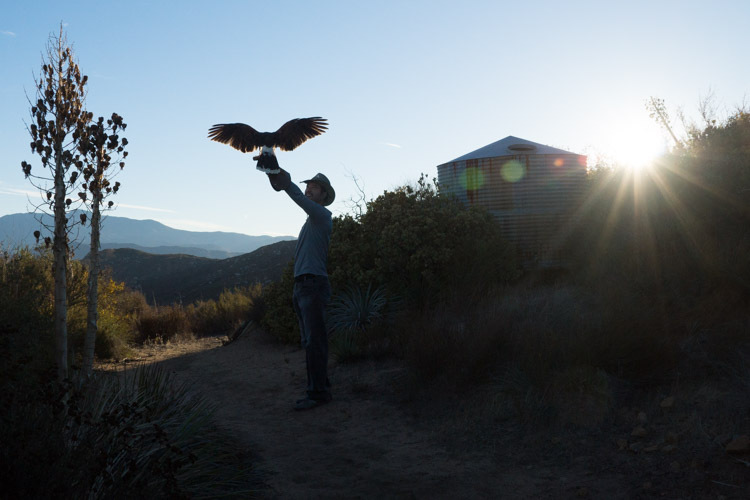 This class is offered at the Sky Falconry Ranch in Alpine September through June. 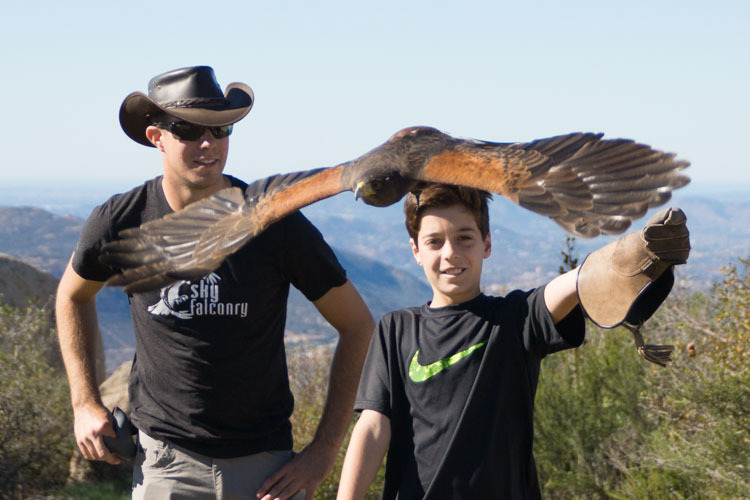 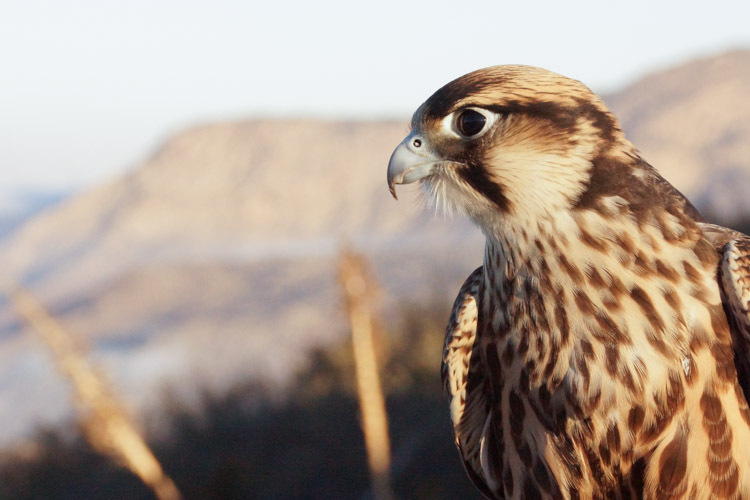 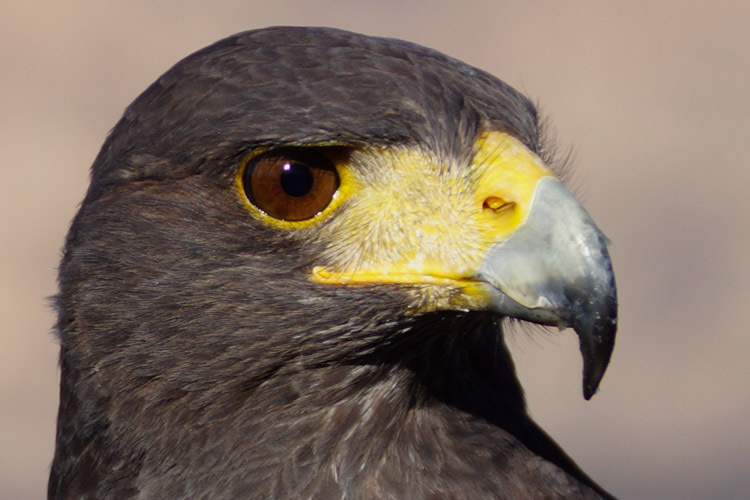 Join the Sky Falconry tribe and be the first to know about special events, offers and more.